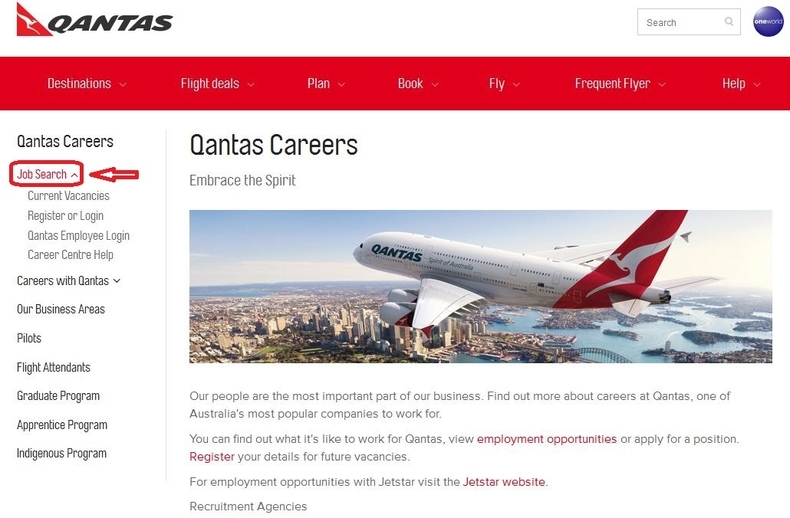 Visit Qantas official career page at qantas.com/careers to know more about Qantas careers. 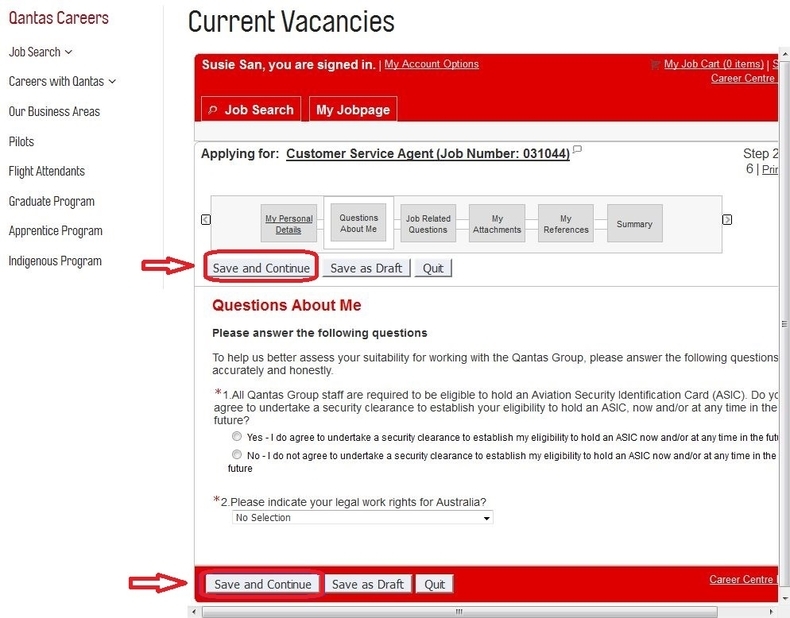 You can click "Job Search" to find current job vacancies. Browse the job vacancies list to find the position you are interested in applying for. 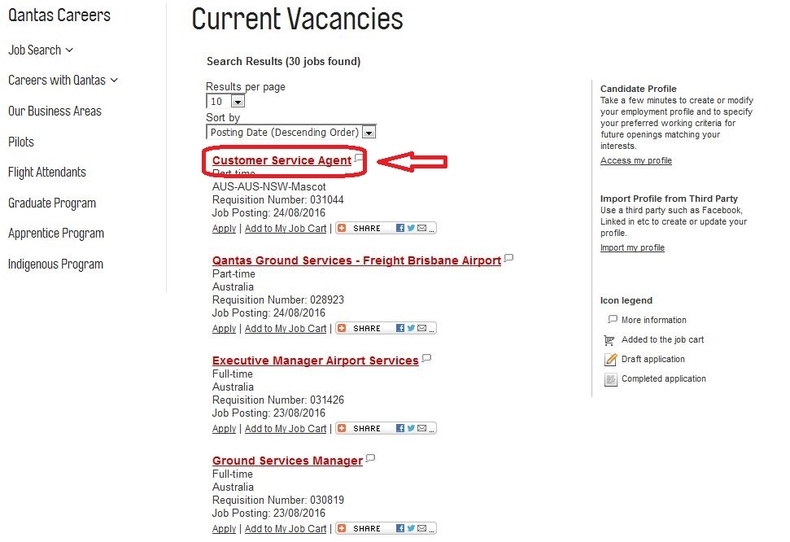 You can view the details of the position by clicking the job title. Read the information, especially the requirements carefully and think about whether you are qualified to apply for the position. If you match the requirements of the position you are interested in, you can click "Apply Now" to start your application. 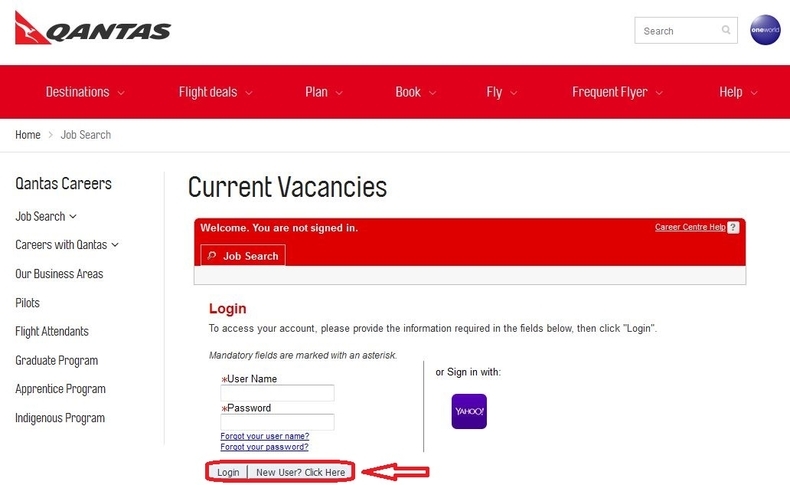 You are required to login before starting your application. If you are a new user, you can click to create a new account to be a registered user. Start your online application by filling out the blanks with your personal details. The fields marked with asterisk are required information. 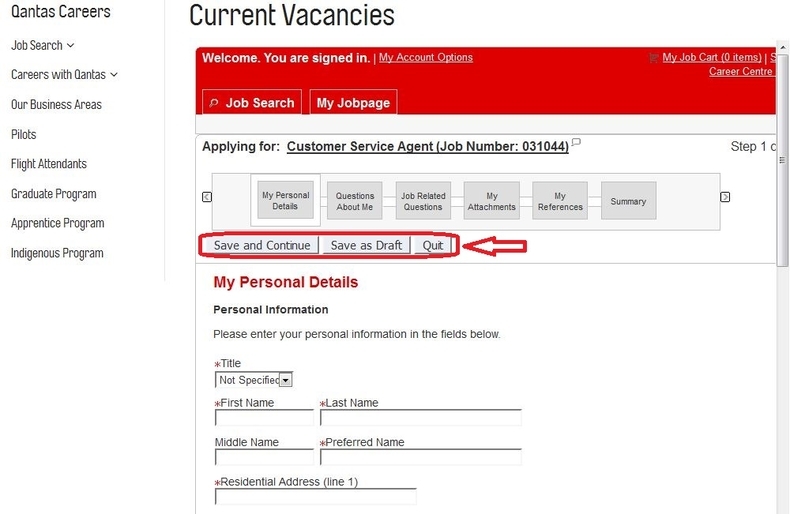 Fill in all the required fields, you can click the button at the bottom to save and continue or save as draft. Answer a few questions about you. 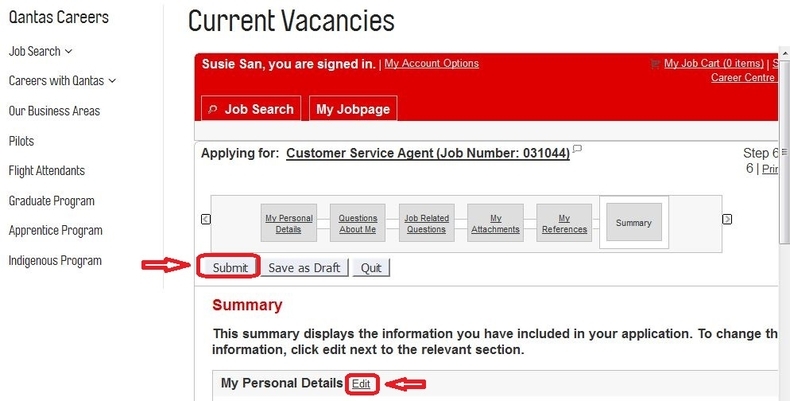 The whole application contains 6 steps like job related questions, attachments, references and summary etc.. You need to finish the required fields in each step and then click "Save and Continue" to move on to the next step. The last step is a summary. In this step, you can review the information you provided in each part. You can click "Edit" to change or update any false information. Once you make sure all the information is provided accurately. You can click the button above or at the bottom of the page to submit your application. Submitting your application means your online application has been finished. You can click to view your submission or find other job opportunities. 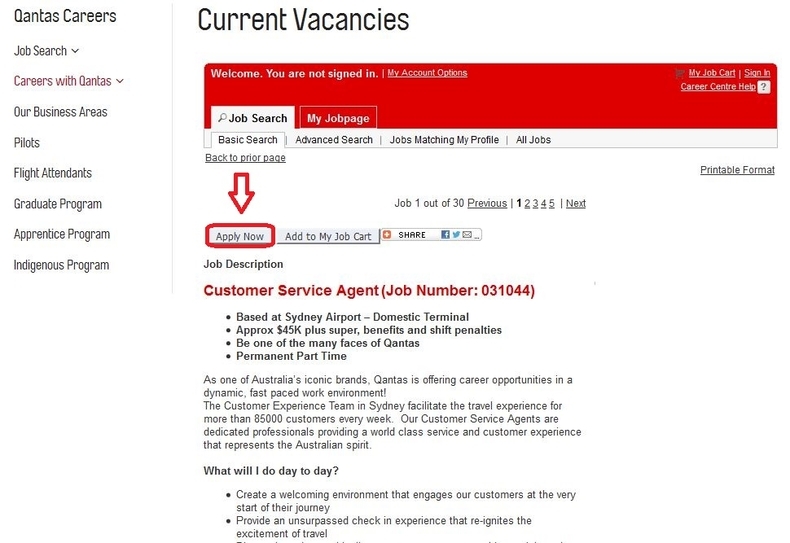 Click qantas.com/careers to apply for Qantas jobs online.